In the popular mind, mass extinctions are associated with catastrophic events, like giant meteorite impacts and volcanic super-eruptions. But the world’s first known mass extinction, which took place about 540 million years ago, now appears to have had a more subtle cause: evolution itself. 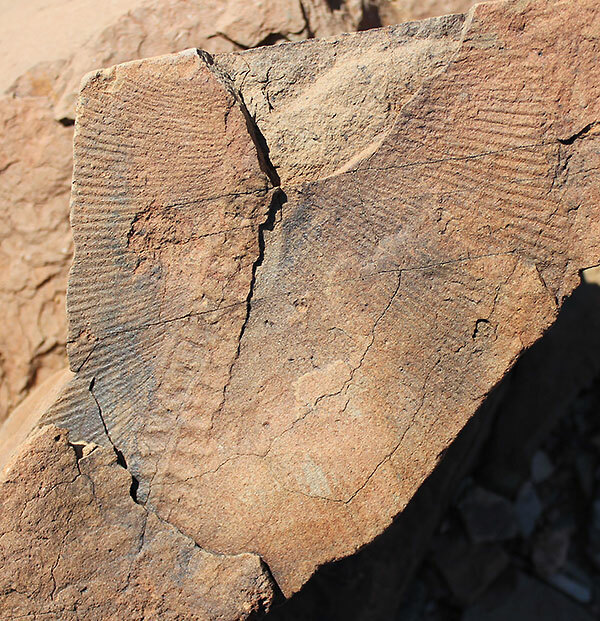 The study is described in the paper “Biotic replacement and mass extinction of the Ediacara biota” published Sept. 2 in the journal Proceedings of the Royal Society B. 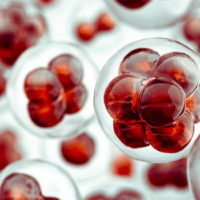 The earliest life on Earth consisted of microbes – various types of single-celled microorganisms. They ruled the Earth for more than 3 billion years. Then some of these microorganisms discovered how to capture the energy in sunlight. The photosynthetic process that they developed had a toxic byproduct: oxygen. Oxygen was poisonous to most microbes that had evolved in an oxygen-free environment, making it the world’s first pollutant. But for the microorganisms that developed methods for protecting themselves, oxygen served as a powerful new energy source. Among a number of other things, it gave them the added energy they needed to adopt multicellular forms. Thus, the Ediacarans arose about 600 million years ago during a warm period following a long interval of extensive glaciation. “We don’t know very much about the Ediacarans because they did not produce shells or skeletons. 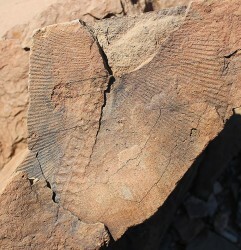 As a result, almost all we know about them comes from imprints of their shapes preserved in sand or ash,” said Darroch. What scientists do know is that, in their heyday, Ediacarans spread throughout the planet. They were a largely immobile form of marine life shaped like discs and tubes, fronds and quilted mattresses. The majority were extremely passive, remaining attached in one spot for their entire lives. Many fed by absorbing chemicals from the water through their outer membranes, rather than actively gathering nutrients. Paleontologists have coined the term “Garden of Ediacara” to convey the peace and tranquility that must have prevailed during this period. But there was a lot of churning going on beneath that apparently serene surface. After 60 million years, evolution gave birth to another major innovation: animals. 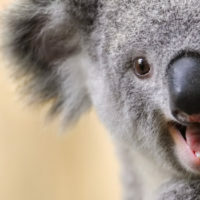 All animals share the characteristics that they can move spontaneously and independently, at least during some point in their lives, and sustain themselves by eating other organisms or what they produce. 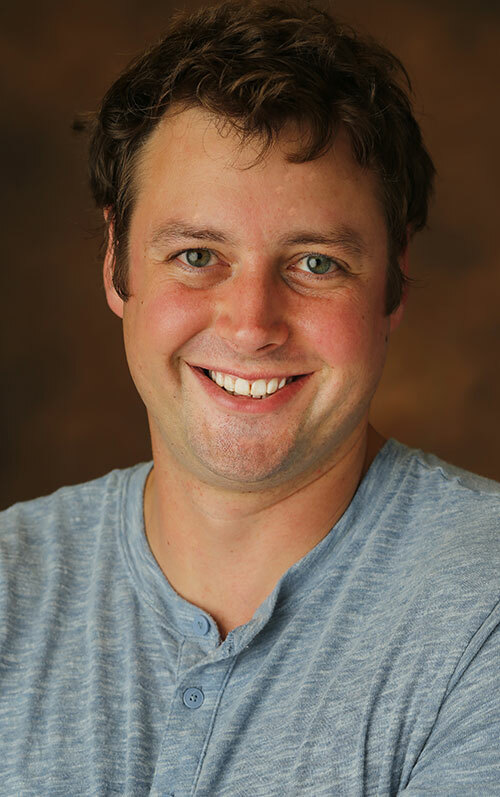 Animals burst onto the scene in a frenzy of diversification that paleontologists have labeled the Cambrian explosion, a 25-million-year period when most of the modern animal families – vertebrates, molluscs, arthropods, annelids, sponges and jellyfish – came into being. “These new species were ‘ecological engineers’ who changed the environment in ways that made it more and more difficult for the Ediacarans to survive,” said Darroch. 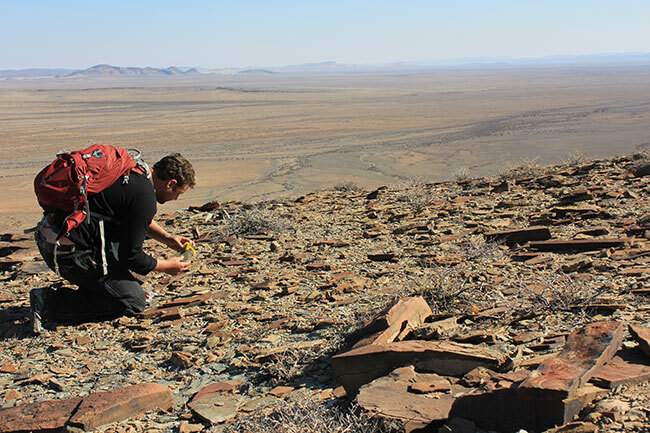 He and his colleagues performed an extensive paleoecological and geochemical analysis of the youngest known Ediacaran community exposed in hillside strata in southern Namibia. 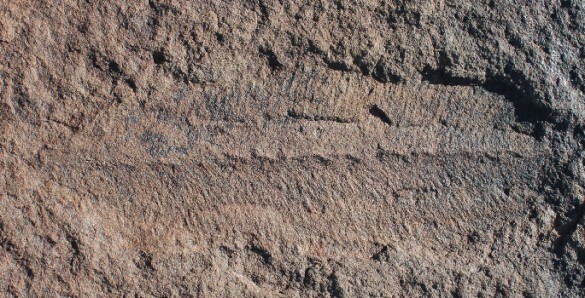 The site, called Farm Swartpunt, is dated at 545 million years ago, in the waning one to two million years of the Ediacaran reign. “We found that the diversity of species at this site was much lower, and there was evidence of greater ecological stress, than at comparable sites that are 10 million to 15 million years older,” Darroch reported. 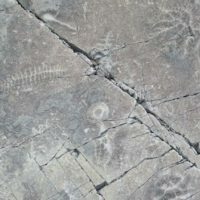 Rocks of this age also preserve an increasing diversity of burrows and tracks made by the earliest complex animals, presenting a plausible link between their evolution and extinction of the Ediacarans. The older sites were Mistaken Point in Newfoundland, dating from 579 to 565 million years ago; Nilpena in South Australia, dating from 555 to 550 million years ago; and the White Sea in Russia, dating also from 555 to 550 million years ago million years ago. Darroch and his colleagues made extensive efforts to ensure that the differences they recorded were not due to some external factor. For example, they ruled out the possibility that the Swartpunt site might have been lacking in some vital nutrients by closely comparing the geochemistry of the sites. It is a basic maxim in paleontology that the more effort that is made in investigating a given site, the greater the diversity of fossils that will be found there. So the researchers used statistical methods to compensate for the variation in the differences in the amount of effort that had been spent studying the different sites. Marc Laflamme, Thomas Boag and Sara Mason from the University of Toronto; Douglas Erwin and Sarah Tweedt from the Smithsonian Institution, Erik Sperling from Stanford University, Alex Morgan and Donald Johnston from Harvard University; Rachel Racicot from Yale University; and Paul Myrow from Colorado College collaborated in the study. The project was supported by grants from the Connaught Foundation, National Science and Engineering Research Council of Canada, NASA Astrobiology Institute, National Geographic Society and National Science Foundation grant EAR 1324095.